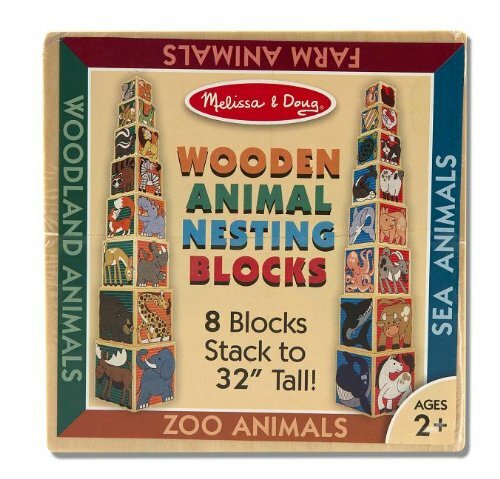 These classic wooden stacking toddler toys in the forms of geometric shapes, animals, cars or trains etc are ideal for early learning and creativity development. 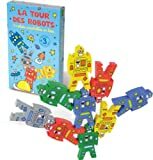 While electronic learning tablets and games for young kids are very popular, classic toys may still be what your children prefer to play with. The wood material and food grade paint used are generally regarded as safe for toddlers contact. A simple, affordable toy to keep young ones occupied for hours! 514900 Features: -Stacking tree. 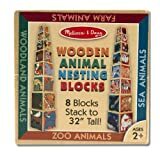 -For ages 2 years and up. -Environmentally safe materials. -Designed based on the concept of nature. 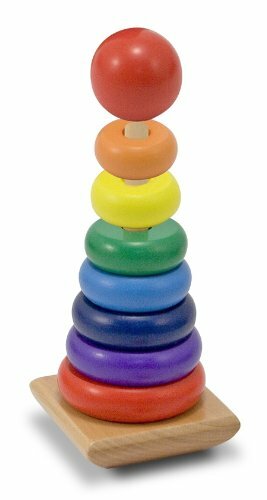 Product Type: -Stackers / Sorters. Material: -Wood. Generic Dimensions: -Overall dimensions: 9.06” H x 4.92” W x 4.45” D. Dimensions: Overall Height – Top to Bottom: -9.06 Inches. Overall Width – Side to Side: -4.92 Inches. Overall Depth – Front to Back: -4.45 Inches. Overall Product Weight: -1.06 Pounds. WARNING: CHOKING HAZARD Not for children under 3 years. 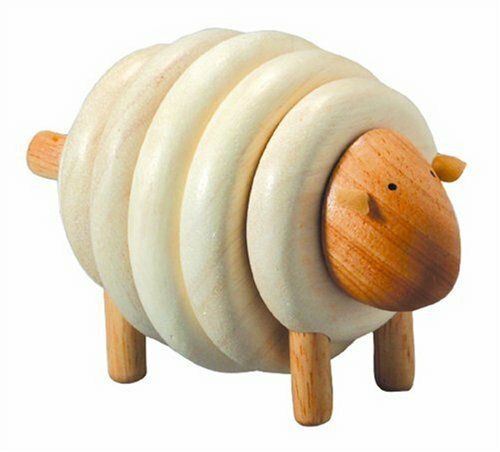 Children can lace corresponding colors to form a sheep, helping them learn the basic color and sequence with PlanToys Lacing Sheep. 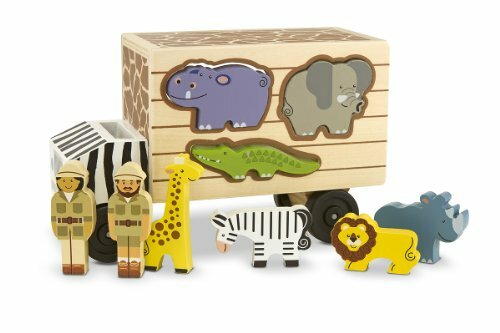 This appealing play set builds on children’s love of animals, adding in a pretend-play dimension with the rescue truck and two animal rescuers. The play possibilities are wide-open—there is no wrong way for kids to play with the set—but the content (seven African animals and a truck with sorting holes shaped for each one) may inspire discussion of wild adventures, animal care, and trips to the zoo, as well as counting, pattern recognition, and other basic skills. 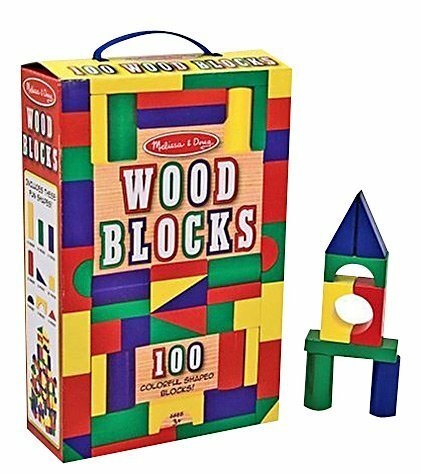 Helps teach shape recognition, fine-motor skills and hand-eye coordination; encourages exploration and imaginative play. 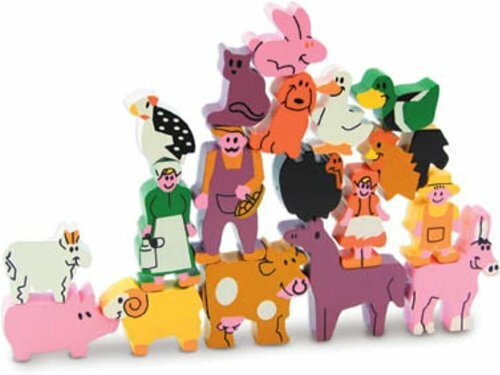 Have some animal stacking fun with the colorful, detailed Vilac wooden farm animal tower building shapes puzzle set. Each colorful piece has been carefully crafted to enable it to be stacked and included for tower formations. The animals include a cow, horse, pig, sheep and much more. 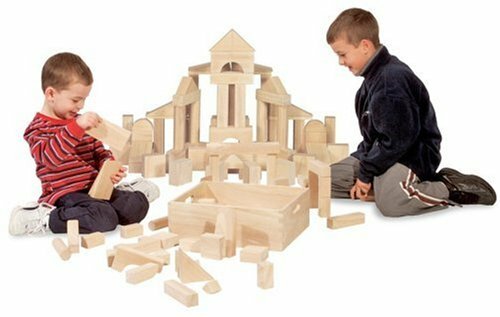 Figures are also included to be included in tower building or to use the set as a playset for playtime fun. 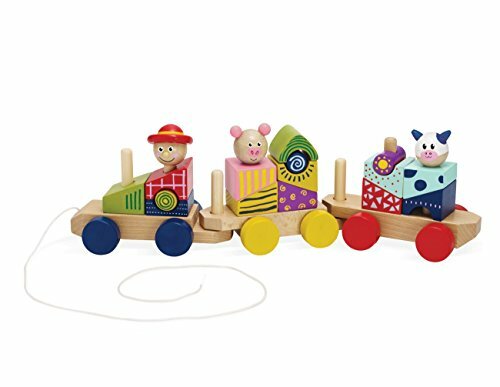 The detailed pieces are easy to grasp and are suitable for fine motor skills development. 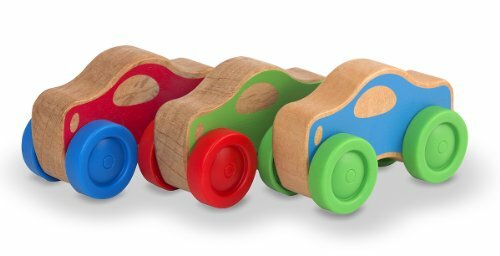 Crafted from select hardwood and accented with child-safe dyes, Stacking Cars feature bright colors, a clever contour that stacks in any combination and easy-roll wheels that are simple for babies and toddlers to spin. 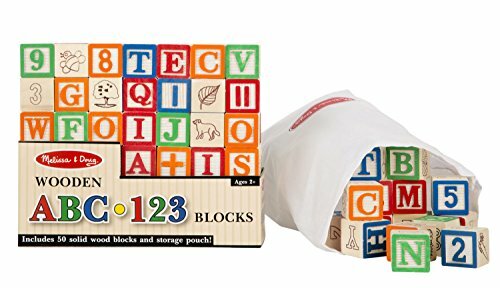 They’re ideal for young toddlers improving hand-eye coordination and becoming more interested in imitating the real world around them. 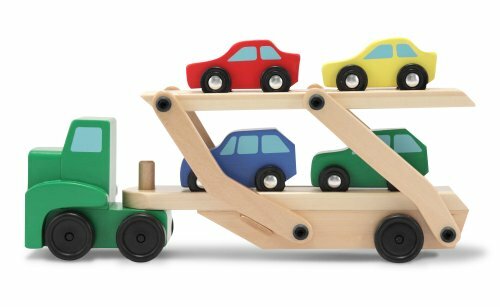 And with lots of colorful interest and race-ready wheels, they will keep older toddlers and preschoolers busy building sorting skills and vocabulary, and initiating a world of imaginative play! Mickey, Minnie, Goofy, Pluto, Daisy, and Donald are ready to get playtime rolling! 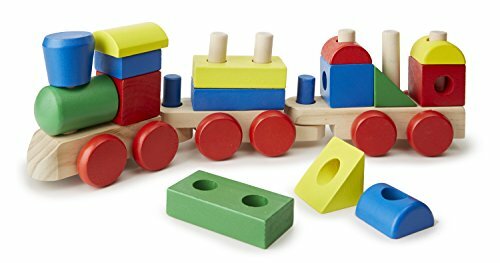 Children can stack the blocks to arrange the passengers, reshape the train, and send these pals on adventures galore. 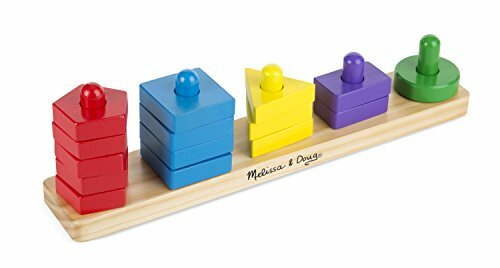 This engaging toy, featuring 14 wooden pieces, promotes fine motor skills, color recognition, matching and sorting skills, and creative play. 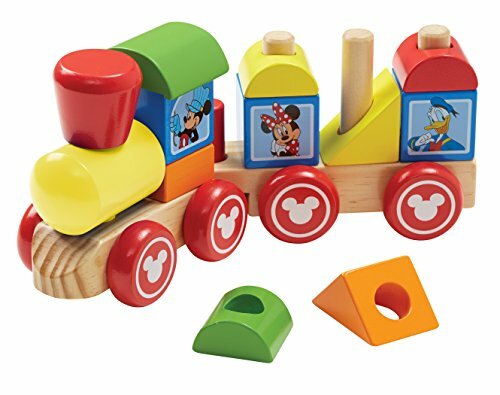 Engineer Mickey is happiest when his friends are all aboard. 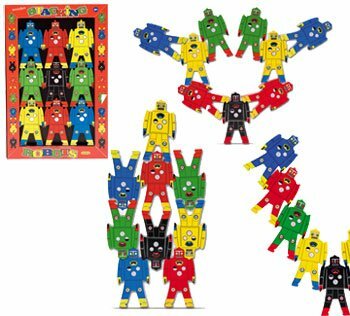 Wood Stacking Robots includes 9 multicolored robots that interlink in many different positions to create remarkable shapes. Robots measure 3 1/2″ tall. Vilac has been the maker of high quality, award winning toys since 1911. Their toys are unique and classic. Contains 9 stackable wooden robots to create all sorts of shapes while keeping them balanced. 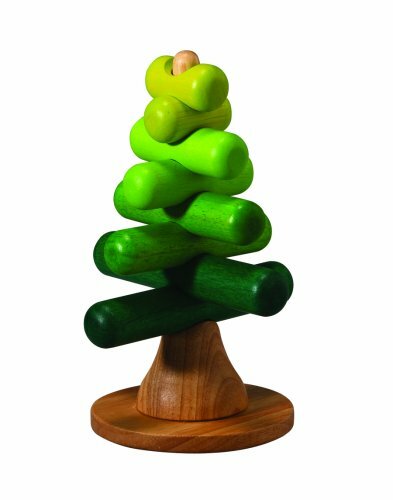 Made of tinted hard wood with non-toxic finish.